We all know that AdWords is a mathematical medium. With success only coming from drilling down into lots of statistics and metrics. And the only really good AdWords campaigns are those that focus on CTR, CPC, Impression Share, Bid Adjustment etc etc. Right? 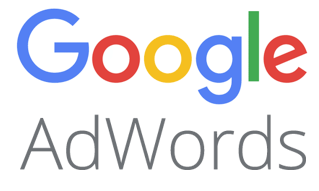 Despite what many Pay Per Click agencies might want you to believe, true AdWords success really comes down to the quality of the writing in the advert itself. When people search on Google, the only thing they see is an advert that is made up entirely of words. There are no images in AdWords search ads. No matter how enticing and attractive the artistically-created graphics are on your website, potential customers might never see them. Unless they are persuaded to find out more by the power of the words in your ad. But there’s such a limited amount of space within an AdWords ad, how can the words you use possibly provide enough information to persuade anyone to do anything? The answer to that question is that precisely because there is such a limited amount of space within the ad, the words are ALL that you have at your disposal. So they must be crafted in such a way as to achieve your desired result – a click through – without being able to impart a large amount of information. You might think that this limitation of character size leads to a stifling of creativity. Not at all. Having such a small amount of space to work with actually leads to increased creativity. Lots of people can waffle on and on about a particular subject. Whereas, having to inspire sufficient emotion to generate a click through, in very few words, requires a particular set of skills. Exactly the type of thing that is best suited to a copywriter. The Direct Marketing Association reinforces this point on one of their blog posts – that AdWords is a copywriter’s medium, rather than a media buyer’s medium. I totally agree. And would go a step further. Many AdWords agencies will try to convince you that constant analysis of the figures to identify minute variations in Click Through Rates (etc) is the key to generating maximum Return from your AdWords campaigns. Don’t get me wrong – there is definitely a benefit to having a basic figures-based approach to monitoring your AdWords campaigns. Especially if getting the most click throughs for the least spend is one of your main goals. But the fundamental fact remains that AdWords is a text-based advertising medium. And any advertising medium that relies on words to get its message across is most definitely going to benefit from the input of a copywriter. I’ve been writing successful AdWords ad copy for many years – get in touch to see if I can help out with your campaigns.